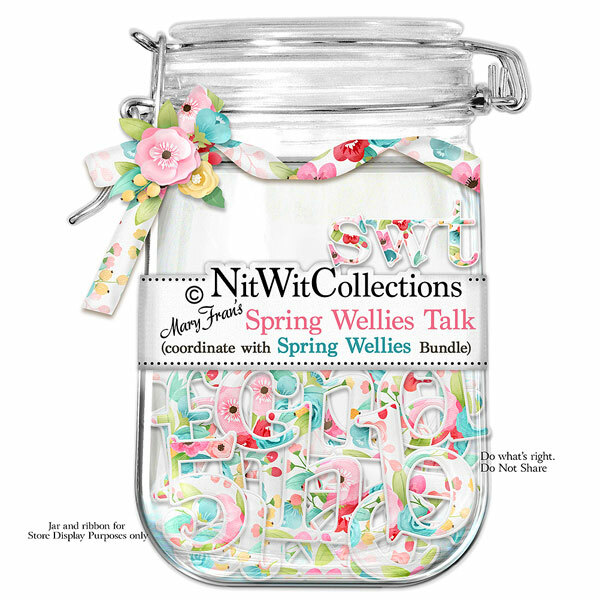 "Spring Wellies" Talk flows beautifully with the coordinating digital kit. Created using the bright and cheerful florals, using this alpha will highlight any theme, emotion, name, date, etc. that you choose.